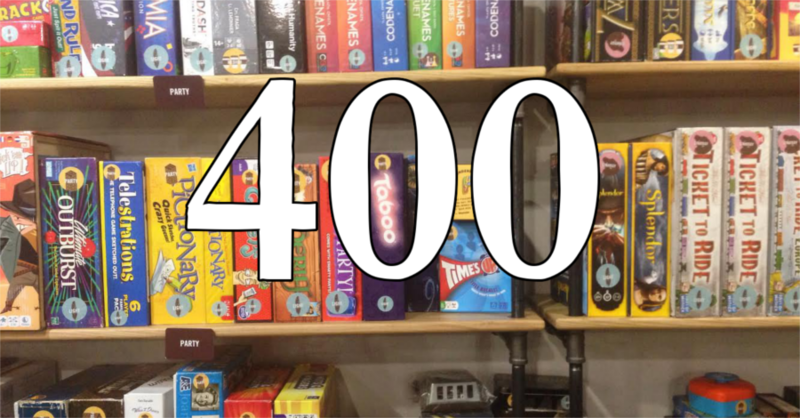 Over the weekend, the Game Point collection surged past 400 unique titles. Recently we have added some family classics like Ants in the Pants and Don’t Spill the Beans, several award winning strategy games like Kingdom Builder, the 2012 Game of the Year, fun new party games like Decrypto, and some hot new titles like Altiplano and Thanos Rising. With over 400 games, now more than ever there is truly something for every group and interest in the Game Point library. How many have you played? Make plans to come in to Game Point soon, grab a cold beer hot coffee or tasty snack, and have a Game Coach help you find your new favorite game!